Operation principle of differential’s safety device Safety device is mounted at the left of the differential so as to make sure no damage occur when overload(See Figure 5). It is a ball clutch, it mainly composed of drive plate, jaw, cam, ball and dish spring. Under the force of dish spring, cam is pressed tightly on the ball of drive plate. then transmit auxiliary motor’s torque to differential’s input shaft, when exceed set torque, drive plate will break away from ball and slip along the cam surface, jaw of the clutch will break off, auxiliary motor rotate with no-load , at the same time, drive plate move axially to make limit switch act under the force of spring, cut off the power of main motor, auxiliary motor, mud filling pump simultaneously. When this kind of problem occur, check carefully if it is caused by of overload, then reset clutch at working condition after solving the problem. The method is: remove the nuts to loose the cam; put the ball’s slot onto the ball of cam , tighten the nut to inlay 2.5mm into jaw, mount limit switch well to keep push rod 1mm away from clutch drive plate. 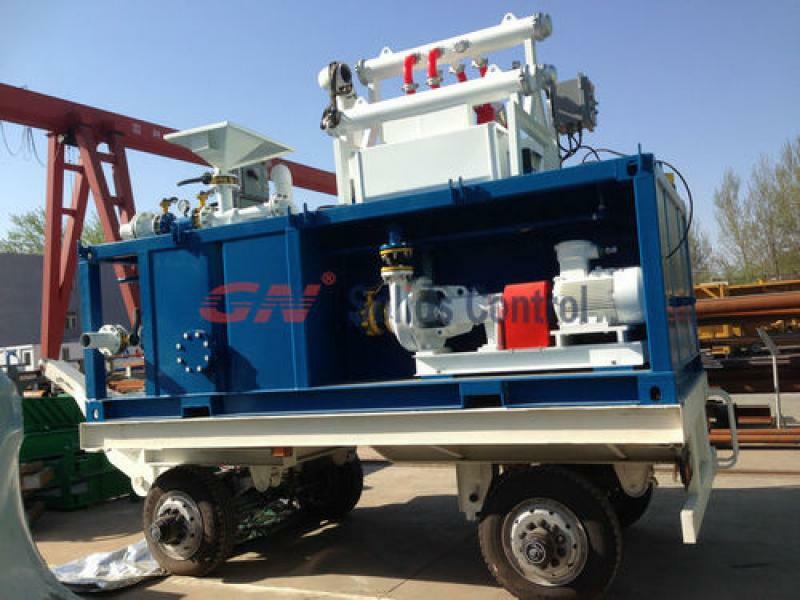 3.2.5Operation Principle of hydraulic coupler Hydraulic coupler is mounted on main motor, it is a mud system, it have the function of buffering starting shock, reduce starting current and overload protection. Its structure is in Figure 6, it consists of shell, turbine, pump wheel, input shaft, output pulley; shell is joined with turbine, output pulley connect with shell; input shaft connect with pump wheel, working oil is filled into the shell, pressure emerges in service oil caused by centrifugal force when motor axle drive turbine to rotate, in this way, power is transmitted. Motor’s no-load starting can achieve when motor start-up in lower speed because less liquid pressure and smaller drag exist at this time when reaching its rated rotational speed, oil pressure increase and drive load to rotate, this is coupler’s buffering starting shock principle; When load is too heavy, speed differential between pump wheel and turbine increase , oil is heated immediately, meltable plug in the coupler will be melted when oil temperature exceed 120°c, oil sprays out to make input separate from output, thus main motor is protected and make sure no burn occurs, oil is the media of transmission, so its performance will influence coupler’s working condition. Replace the oil as required（Refer to item 5.3 mud system for sale for further information),know more solids control pls click here to visit.